Over the years of travelling back and forward to Sweden ourselves and assisting others with their trips to Sweden, there are a few things that I’ve discovered can be useful to know before you go. When to go to Sweden? The simple answer is “anytime”! It depends on what you would like to do. Each of the seasons has its own special atmosphere. For snowy activities you need to go when there is snow, of course. In the far north of Sweden, the winter season extends from mid-November to late April. 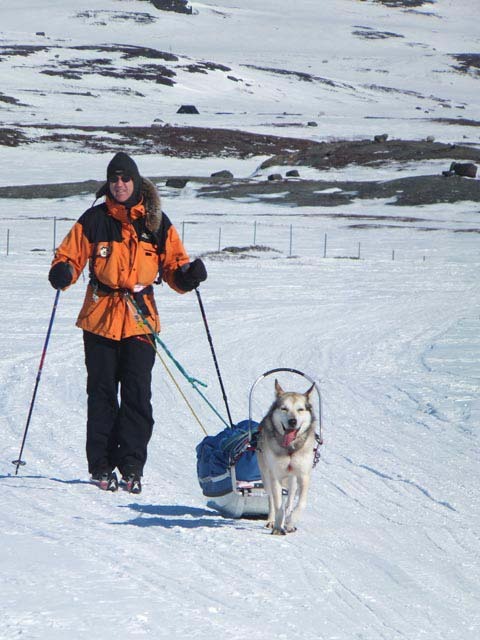 Dog sledding in the mountains! Photo: Nature Travels. However – and this might come as a surprise for some – not the whole of Sweden is snowy in wintertime. Sweden is a long, thin country and from north to south it’s 1574km (978 miles). The southern parts of Sweden are level with Scotland and some winters just have a few days with snow cover. 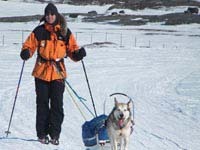 The winter season has different parts – the deep midwinter is a very special period in the far north. From around mid-December to the beginning of January, the sun does not come above the horizon. But, contrary to what many people expect, it is by no means completely dark. The snow, the moon, the stars and of course the Northern Lights can all lighten the landscape considerably, and during the daytime there is a dusky light which often has a magical blue quality. Swedish is a very family-friendly destination. Photo: Nature Travels. Down in southern Sweden, spring flowers will start to bloom from April and the spring green colours are back in May. The season for activities like canoeing and kayaking will normally run from early May to late September. To be in the outdoors in Sweden in May and early June can be very peaceful experience, as this is before the Swedish summer season starts. You should be prepared for cooler temperatures at this time – in particular the water is likely to still be very cold in May – and so guests are normally recommended to have greater confidence/previous experience if paddling early or later in the season. 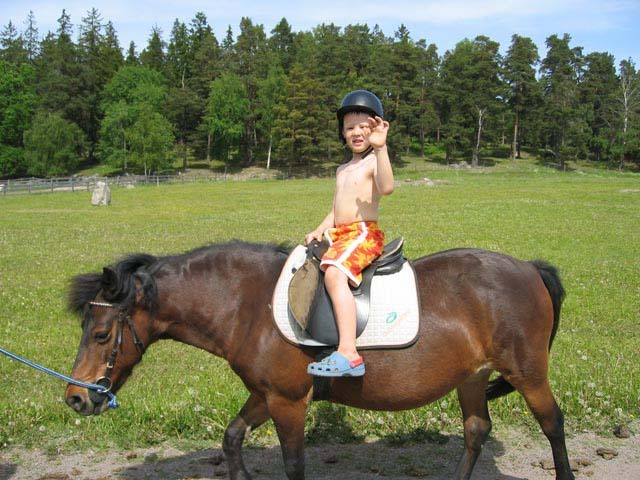 The main summer season in Sweden stretches from mid-June to the later part of August. The Swedes normally start taking their summer holiday from Midsummer in mid-June to around mid-August. July is the main summer month in Sweden. At the end of August and September it’s the end of the summer and start of the autumn. During these months, the autumn colours spread slowly like a fire from north to south and the landscape starts to take on an orange glow. Then in November the snow slowly comes back. Does Sweden have lots of mountains? Many have the misconception that Sweden is mountainous. But in face most of Sweden is forested with lakes. In the far south of Sweden, we have a lowland landscape, with fields and deciduous forest. As you go north, the deciduous forest gives way to pine forest and there is lots of it! Around 55-60% of the land in Sweden is covered by forest. 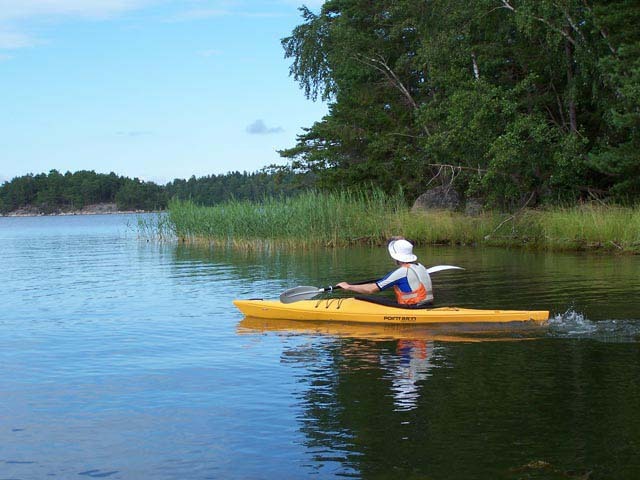 Kayaking is a wonderful way to enjoy the Swedish summer! Photo: Nature Travels. In the north west of Sweden you find the mountains, but they are not mountain peaks with steep sides of the kind you find in Norway. 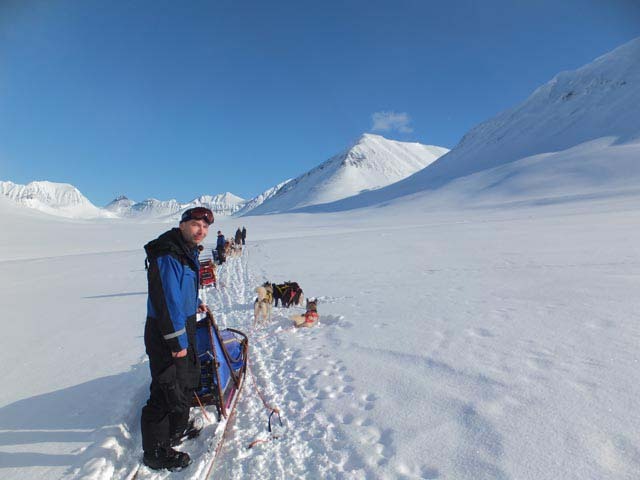 In Sweden, the mountains form a rolling alpine landscape, very similar to what you find in Scotland – an excellent playground for outdoor enthusiasts offering great conditions for hiking, ski touring, dog sledding etc. Can I pay by card in remote locations in Sweden? Most places in Sweden accept card from the most common card providers, in fact Sweden is soon becoming almost a cash-free society. What should I wear on a winter trip to Sweden? What to wear depends on what activities you are doing, but as a general rule you should stick to wool clothing (or other natural material, but not cotton) closest to your body. You should also dress with layers in mind, a layer closest to your body to keep you warm, a second or even a third layer for extra insulation and the most outside layer should protect you against the elements such wind and rain. Dress correctly and you’ll stay warm and comfortable even in the coldest conditions. Photo: Nature Travels. For a more detailed description on what to wear, please see our article The Art of Dressing for Scandinavian Winters. Many think that because it’s cold outside, it’s cold inside. This is not true, actually the opposite is more true. Swedish houses are very warm, sometimes too warm. I have made it a routine when I go to Sweden to turn off the heating in the room I’m going to sleep in, otherwise I can’t sleep as I’m now used to English houses! One thing to note, though, when going to Swedish homes is that Swedes take off their shoes indoors, so your socks dscf4202needs to be presentable to the world. If you’re invited for dinner, Swedes often dress up and then bring a bag with their inside shoes to put on, but just for a normal visit everyone walks around in their socks. Swedish buildings are well-insulated against the cold. Photo: Nature Travels. 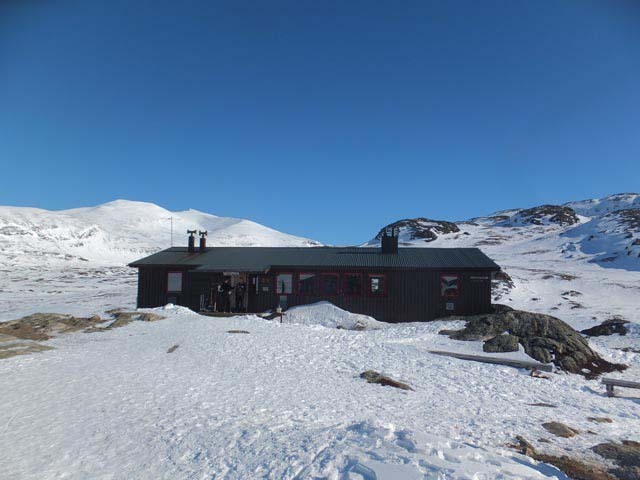 If you are on a hiking, ski touring or dog sledding trip and you’re staying in mountain cabins that have no electricity, the mountain cabins still get very warm, but as they are heated by a wood-burning stove, they get colder during the night when the fire is out. For these kinds of cabins, it’s good to bring a pair of inside shoes with rubber soles. What should I think about when driving in Sweden? Driving in Sweden is normally a very pleasant experience. Outside the towns you don’t have so much traffic and the roads are good. Your only problem will be staying awake, as Sweden is a long country and there’s a lot of pine forest. If you’re visiting Sweden in wintertime, there are a few things you need to consider. 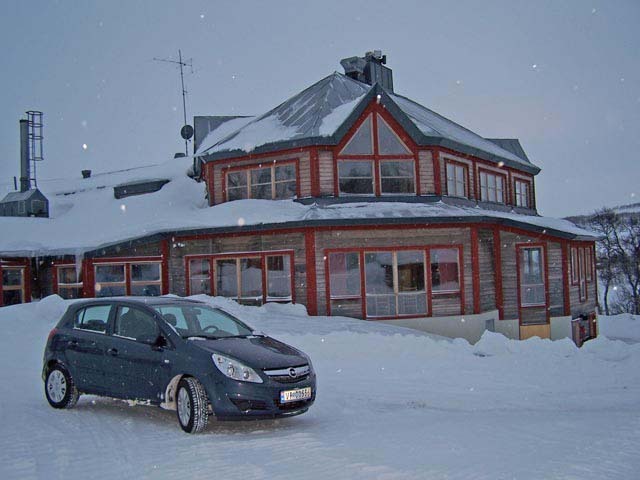 Please see our article on driving in Sweden in winter, FAQs- Driving in Sweden. Any car hired in Sweden during wintertime will come with winter tyres. Photo: Nature Travels. Where can I buy alcohol in Sweden? When thinking about buying alcohol in Sweden, most people think about the price, which is not as bad as in Norway, but still cost, a bit more than here in the UK. What most people don’t know is that in Sweden alcohol is only sold in state owned off-licences (except in restaurants and bars etc.) It’s only beer up to max. strength 3.5% alcohol that issold in normal food stores and supermarkets. If you would like wine and stronger beers, you need to go the state off-licences, called Systembolaget. There are normally a few in the bigger towns, but you won’t find them in smaller villages or out on the countryside. So buying your alcohol in Sweden takes some planning! See our blog article Systembolaget – Buying Alcohol in Sweden. How can I buy aspirin, ibuprofen and other medication in Sweden? There’s a similar system to alcohol when it comes to non-prescription medical products such as aspirin, ibuprofen etc. You won’t find these in the normal supermarkets – for these you need to go to a pharmacy. Traditionally there was just one state-owned pharmacy chain, called Apoteket, though other pharmacies can now be found. Some stores in the countryside have permission to sell these items and they will have a cupboard next to the till – ask the staff! Are there lots of mosquitoes in Sweden? Yes and no! This, like many of the other questions, depends on when and where you are in Sweden. There are areas where the mosquitoes are a problem, but there are also times when there are no mosquitoes around. In the wintertime there are no mosquitoes, and in the spring and autumn you hardly get any mosquitoes at all. The numbers of mosquitoes also varies from year to year, depending on weather and temperatures, etc. Generally in the mountains or in the coastal areas there are fewer mosquitoes than in the inland areas. Mosquitoes are really just about during the morning and evening time and if you make sure you cover up with long sleeves and legs during those hours, you should be fine. For more information on mosquitoes, please read Mosquitoes in Sweden – fact and fiction. All in all, Sweden is a great place to visit, especially if you like the outdoors! If you have any more subjects you think should have been covered here, please let me know! I might write a second part to this article! Sofia from the Nature Travels team.